we know that most of you are wondering about what had happened to the content update we promised to deliver in November. Unfortunately we're running rather late and what is more unfortunate, we don't really have any particularly good news to share with you now, either. And we don't have excuses. Not any good ones, at least. We have miscalculated the scope of the work we began in October. We are working relentlessly and trying to catch up, but the truth is that we started three huge developments simultaneously and we won't be able to finish them in time. Even though each of these developments is about 80% complete, we wouldn't feel comfortable releasing the alpha version of the patch, because we still have to fix a lot of bugs and fine-tune the gameplay to be enjoyable. We know this sounds like a lame excuse, but it's true. Still , we're more than a month late and you deserve more than that. 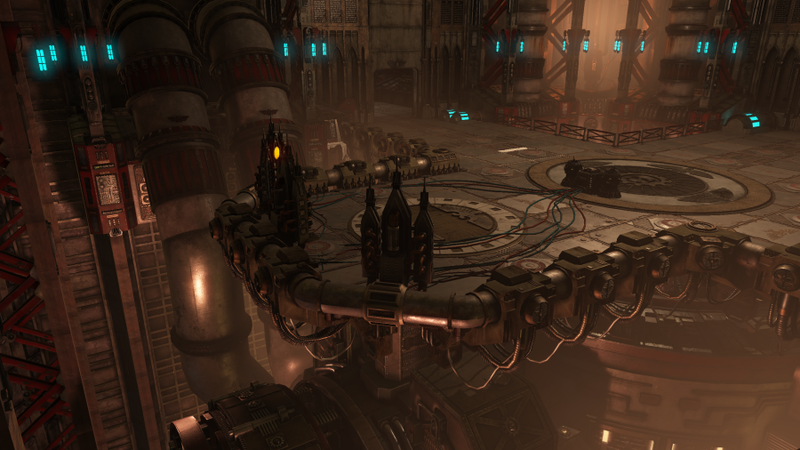 The next content update for Warhammer 40,000: Inquisitor - Martyr will be released on January 10. Seriously – we'll release this patch even if the whole company has to spend Christmas and New Year's Eve in the office. First of all, a new and unique class called the Psyker is coming. Compared to the Assassin and the Crusader, the Psyker's abilities aren't completely fixed and tied to weapons, since he's using his Psychic Masteries and all kinds of flexible Psychic powers that come with the Warp Heat system - as a special source - and Warp Anomalies. Both are new solutions compared to our current game mechanics and required a lot of work both in game code and in design setup. During building the first two chapters of the campaign we realized that the complex story we'd like to tell in the game requires even more sophisticated storytelling devices, so we've completely rebuilt the mission system and the journal, introduced a new system for gathering and assessing clues you'll find during the campaign and built a more consistent interface to support the new system. With this, we are now able to tell the story (not just the campaign story, but each and every major story you can investigate in the Caligari Sector) as we have been planning all along, as a series of Inquisitorial Grand Investigations. To make the first two chapters work, we had to create two entirely new terrain settings. This means that while we are working on the Psyker, we have the first two campaign chapters coming, the Grand Investigation system and two new terrain types (voidship interiors and an Imperial Industrial setting). Not to mention that the story campaign works better with a proper intro and additional cutscenes. If you check the shots we've put up from the intro, you'll see that our artists were quite busy lately. Furthermore we have promised a thoroughly redesigned progression system and the termination of the daily quests. We have planned this for a while, and during the rethinking of the Grand Investigations system we finally decided to fully integrate them into the game, even if it will take more work than originally planned. 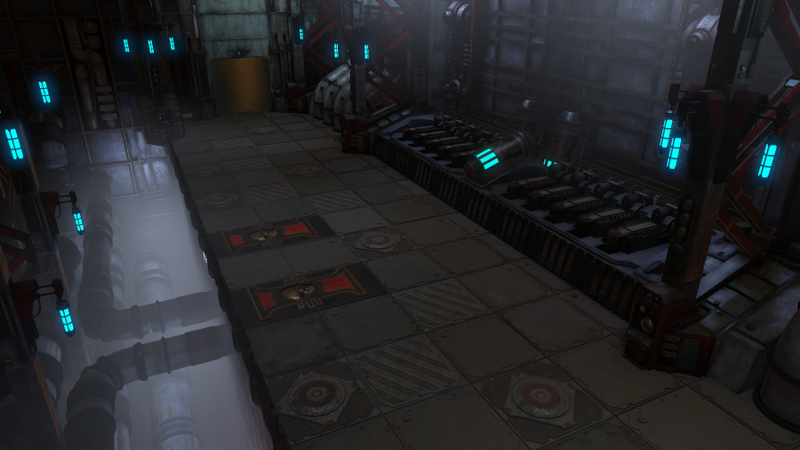 We've got rid of the pre-generated daily quests and placed standalone Grand Investigations into the first subsector: these are all chains of connected missions that follow plotlines with no ties to the main campaign, but offer similarly complex and truly WH40K stories and they also help with the character progression through the first few star systems. While we were at it, we decided to open a test Season and put an endgame layer at the point when characters have fully explored the Tenebra Subsector: we have collected all the Grand Investigations which impact character progression and used them to build a significant new storyline that will focus on a catastrophic Chaos incursion into the Caligari Sector, featuring several Chaos Space Marine chapters and threatening several star systems at once. These missions will tie into the events of the test Season: at the end of the Season the subsector endgame layer will be availableand we'll introduce the Lacaon Warzone. As this is a huge endeavor, we are planning to implement the reworked Grand Investigations with placeholder units and missions. The test Season will run for a few weeks, then we will implement an alpha state global event. This will open up most of the Lacaon Warzone gameplay features (with only the big bossfight missing, which we are planning to include in the February patch). We're deeply sorry for the delay and we would like to apologize for not communicating with you every step of the way. Rest assured, we're working relentlessly: we just simply miscalculated the workload. We wanted all these major content to be in the game in December and now none of them will be there. We really appreciate your patience and we know that you won't be disappointed when we release the update in January. You're a talented group who continues to impress. Don't work too hard, take time to support your families, and we'll eagerly await the next phase. I see nothing wrong in making sure that upcoming features will work to their intended degree. I think that the community will appreciate a functioning update much more than a rushed one. Especially during Christmas and new year holidays. Again, take your time! We shall be waiting. This is all we asked for! Thank you for the clear communication. That being said, do not spend the holidays in the office! You have lives and families to. We can wait a couple of extra weeks. I would wait a year extra if it means a good game. Once again thank you, and the upcoming things sound amazing! "we'll release this patch even if the whole company has to spend Christmas and New Year's Eve in the office." Wait, what??!? Spend Christmas in the office??!? NO!!!! Christmas is for family. It is for cheer and relaxation, not for slaving in an office!!! I speak only for myself, but if it gets to that, I would prefer you postpone the patch another week, rather than spending the Christmas working. There are some who must work at Christmas; police, firefighters, etc. but game development is NOT a critical service, that must be available 24/7/365. Merry Christmas, and Emperor Bless! "Life is the Emperor's currency, spend it well"
Keep up the good work, guys, but FFS keep away the idea of spending holidays in the office. You deserve better. ...Also as some other commentators have already expressed..; You don't have to spend the holidays in office if it's not a matter of life and death. Many of us will be spending the holidays with our friends and family as well and won't be playing that much maybe during that time. Awesome, just awesome. What a great announcement !! I have no doubt, that when finished, this will be the best & greatest 40K game made to date. This is GREAT news, as far as I'm concerned. Sure, maybe running a bit late, but it looks and sounds great! I much prefer a "when it's ready" plan and having to wait a bit. Thank you for the update, and I certainly don't regret preordering! PLEASE don't drink from the chalice. It is made of resin and not safe for drinks. Thanks for your job, guys! just keep us informed, and the Emperor protect! Thanks for the update guys, looking forward to the new content. Sounds great. Especially the revamped investigation system (something I actually wished for in my feedback posts) - Thank You for making this, thank You for taking the heat generated by this delay and doing things well instead of fast anyway. It's good to see someone is making a game I've been waiting and hoping for who seems genuinely interested in creating a great experience instead of raking in fast cash and publicity. Keep it up, You are the good guys! Wow I can see why the update is taking so long. I'm genuinely chuffed that you've given us an update as to whats happening. Looking forward to January the 10th now. Have a good Christmas all and again, thanks for the update. Guys, so far the game is looking fantastic, and rest assured that the effort you are putting into it is well appreciated. If the game so far is any indication, the delays will be well worth it, so enjoy the holidays and recharge. We will be here waiting patiently for a well rounded patch. Kudos for giving us this update on the process. Most developers wouldn't bother doing that. And as you say, no excuses. Things take time. Things made perfect take more time. But they are worth the wait. I for one am looking forward to seeing the finished result of your efforts. Just my 2 credits... despite our anxiousness for the next phase of Martyr, a day or two off during the holiday will do the games development more good than anything else. Time with family and friends will renew a weary soul, I say this as someone who has spent the majority of his adult years doing work that required me to spend my Holidays away from what truly mattered. I saw the need, for the few like me to give that time willingly either for the sake of the work, for my familys' future, or so others might spend time with their loved ones. I support Martyr whole-heartedly, and I admire the pledge you've made, but I can wait another few days, or weeks or whatever so that the incredible team at Neocore can take a step back, remember what they have to be thankful for and then return to the carnage, it will still be there... as will we. So please, unless it's literally going to ruin the companies livelihood, have a wonderful holiday out of the office. May the Emperors' light guide your way through the void. Just because you do not see me, does not mean I am not there. ...... Sorry could not resist, I'm a bad boy. Good point. I was still under the impression for some reason that resin was the placeholder material for the chalice. Apparently they updated that. I guess I would have found out the material ONCE they would have sent the exclusive items. Luckily the Warhammer Total War Dwarf horn is safe for drinking... Speaking of which..
For the psyker, please try to do the skill similar to Diablo 2. That game was LEGENDARY when it come to skills. Just make the best Wh40K game you can, the name has really been tarnished imho over the years, lots of bad games with the license attached.